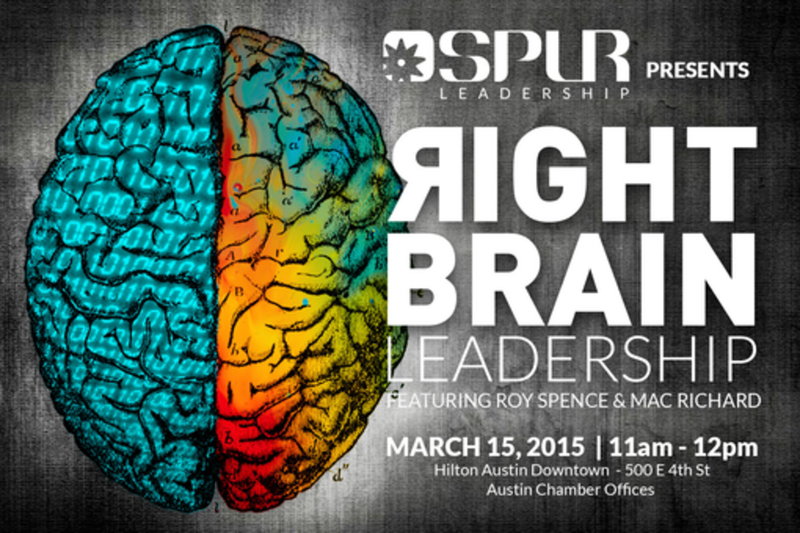 For years, the global marketplace has been driven by left brain leadership. Now, the tide is turning. In a time of never-before-seen problems, the world needs never-before-seen solutions. The complex nature of today's social climate, economy, and institutions calls for the vision and perspective that a new generation of creative thinkers provides. However, the world needs more than creative thinkers. The world needs creative doers. Roy and Mac will draw on their diverse backgrounds to explore how creatives can harness strengths to spur action and lead people. They will offer practical insight into ways that creative leaders can shape organizations that strike the powerful balance between dreaming and productivity. Mac Richard founded Spur Leadership in 2009, looking to create a space where leaders from the marketplace, politics, academia, faith-based institutions, and nonprofit work could discuss universal leadership principles. Since then, the organization has hosted thousands of leaders from all corners of the country for conferences, professional development luncheons, and networking events. Under Mac’s direction, Spur has featured several high profile speakers including General Tommy Franks (United States Army), Roy Spence (Co-founder & CEO, GSD&M), Governor Rick Perry, Cortney Spence (CEO, Students of the World), and Haley Rushing (Co-founder, The Purpose Institute). In 1997, Mac and his wife Julie founded Lake Hills Church with the vision of redefining Church for the city of Austin and beyond. LHC is known around the country for its modern approach, creative communication, and highly practical teaching. Mac lives in Austin, TX with his wife Julie and their two kids, Emily and Joseph. Roy Spence is chairman and CEO of GSD&M Idea City, a leading national marketing communications and advertising company. Under Roy’s leadership and their Purpose-based Branding philosophy, the agency has helped grow some of the world’s most successful brands and has used their talents to make a difference in communities around the world. Roy has been named Ad Man of the Year and Idea Man of the Century and has been interviewed by The Wall Street Journal, USA Today, The New York Times, BusinessWeek, U.S. News & World Report, Esquire, Fast Company, INC. and FORTUNE for his perspectives on advertising, marketing and finding and fulfilling an organization’s purpose. A popular keynote speaker, he regularly addresses audiences from throughout the business, government and nonprofit communities. Roy and his wife Mary have three children and live in Austin.